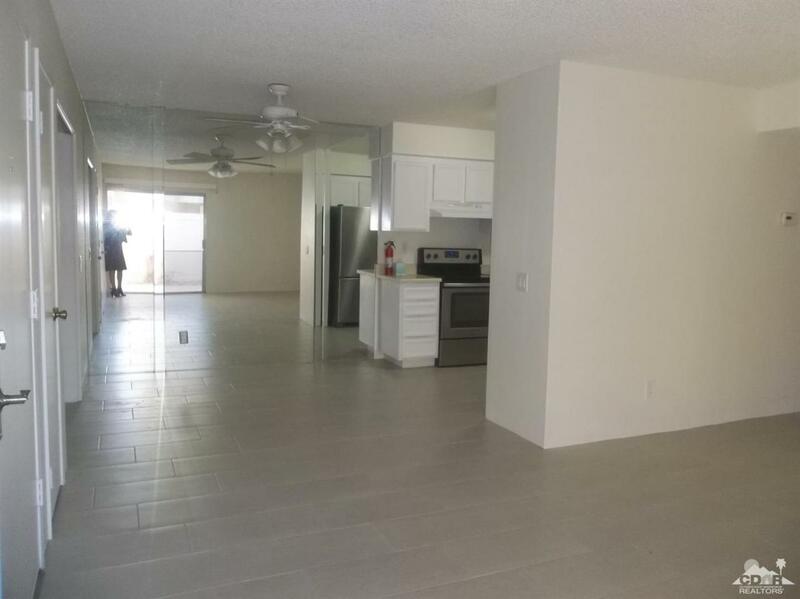 Move-in ready two bedroom, one bath condo waiting for your personal touches in a prime Sunrise Palms location at the end of a cul-de-sac. 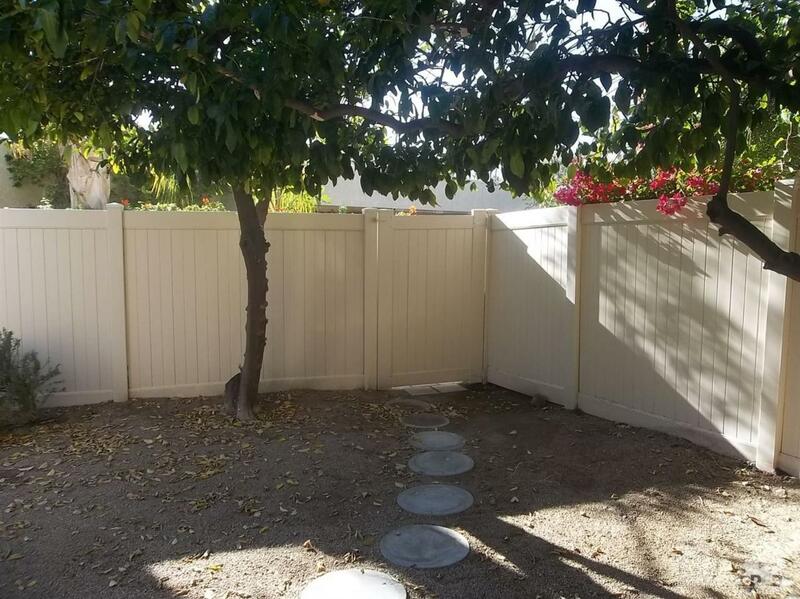 Lovely private fenced yard, mountain views, mature citrus trees, auto sprinklers and direct access to pool. Private one car garage with workbench. Single level duplex attached to only one other unit. Interior has new paint, new tile and carpet, new window coverings, bathroom skylight, full size washer/dryer. Large master suite with walk-in closet and glass sliders to patio. 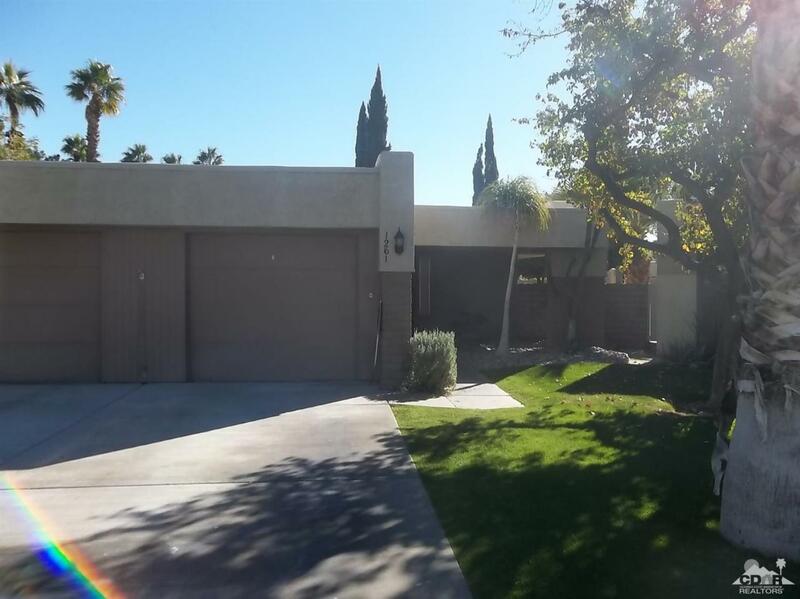 Sunrise Palms is a gated community with eight pools and spas, tennis courts, large green belt, close to grocery stores, gym and restaurants, just minutes to downtown Palm Springs. 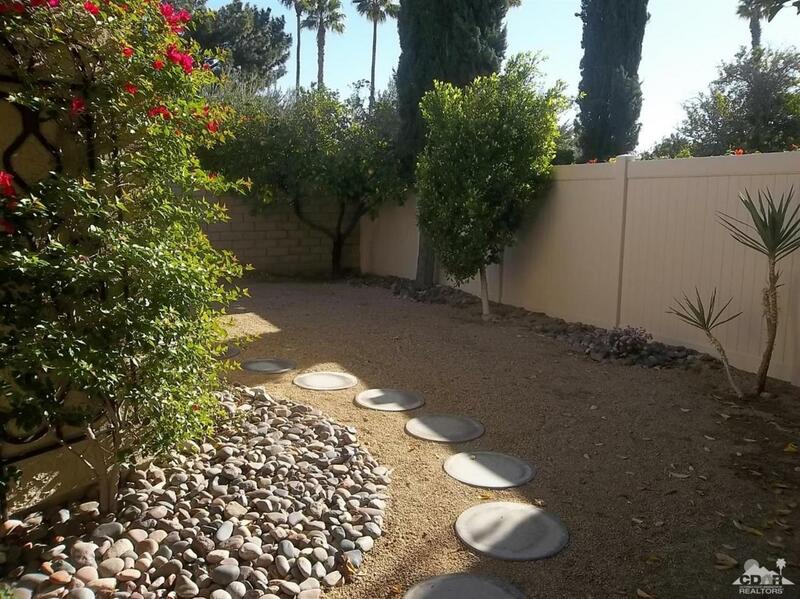 HOA dues $417 a month, includes, water, trash and land lease. See it today!. Listing provided courtesy of Teri Litton of Homesmart Professionals.